For anyone, like me, who is of the opinion that AFI lost the plot with their last record, let me introduce you to Burnthe8track. This four-piece Winnipeg band formed 10 years after AFI but their album Fear of Falling Skies seems to pick up right where Sing the Sorrow left off in 2003. Jason Kun and Ethan Osland have perfected their respective guitar riffs and bass lines to create that kind of seamless, racing melody that almost makes you feel they’re just having fun showing off to each other in the basement. Derek Kun hits the vocals in what is a flawless Davey Havok tribute, and Sam Osland takes over the drum kit to flawlessly round out the sound. If this is the kind of unfaultable collaboration that comes from two sets of brothers who make music, more bands should work from this example. Despite my initial reaction to this record, Burnthe8track is not what I would call an AFI tribute band, although if That’s what they wanted to do I don’t think there’s anyone better suited to the job. 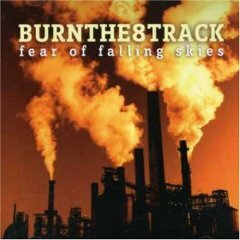 Fear of Falling Skies encompasses a wide range of lyrical content that focuses on the social state and environmental issues. 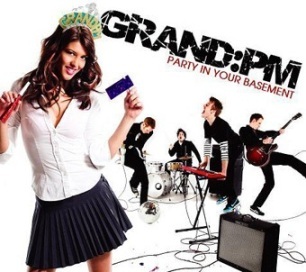 The title track is a mellow song that sardonically asks its listeners whether they should be placing more importance on the air we breathe instead of letting other people worry about the future. This is the sort of record that is instantly likeable; at the end of every song I had already formed an attachment and was sad to see it go. The songs work their way into your head immediately and, given the gaping hole left in recent emotive-punk rock by the over-synthesization of AFI, I for one am very happy to welcome Burnthe8track onto the big stage with this major-label debut. Fear of Falling Skies follows the full-length The Ocean and the EP Division in 2005, two releases that helped gain the boys a spot on the Vans Warped Tour as well as opening slots for Sum 41, Comeback Kid, and, fittingly, AFI. After booking hundreds of shows on the strength of the single ?The Ocean,? Burnthe8track decided to sign with major label Curve Music and work on their next album. Looks like it couldn’t have worked out better for the band, because as well as intense Canadian touring they’re now in growing demand south of the border and in Europe. 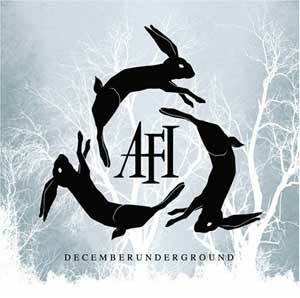 If You’re in Winnipeg on December 22, I suggest you head to The Zoo and check these guys out live. 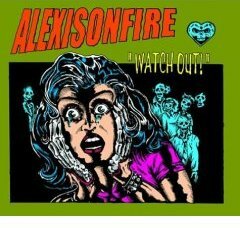 Music To Eat Lunch To – Alexisonfire – Watch Out!